We offer boutique portraits for women. Our goal is to showcase and highlight the strength of women and celebrate their beauty. We customize every session we photograph to reflect the clients personality and whats important to them. This way anyone who looks at the photo can see a piece of her. 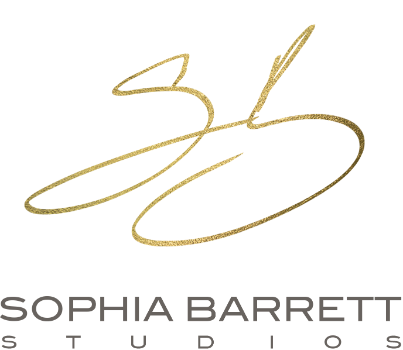 The goal of Sophia Barrett Studios is to offer a unique experience from start to finish where we cater to the creative desires of our clients. The common saying says a picture is worth a thousand words so we strive to make sure your portraits speak the exact words you envision. Browse through the galleries above to get a glimpse of our work. Sophia Barrett is a portrait photographer that takes her art beyond just taking photos. Her passion for her craft originates from her personal battle with infertility. She uses her art as a vehicle to celebrate the strength, beauty, courage, vulnerability and love of her clients.